Hello Marketers! 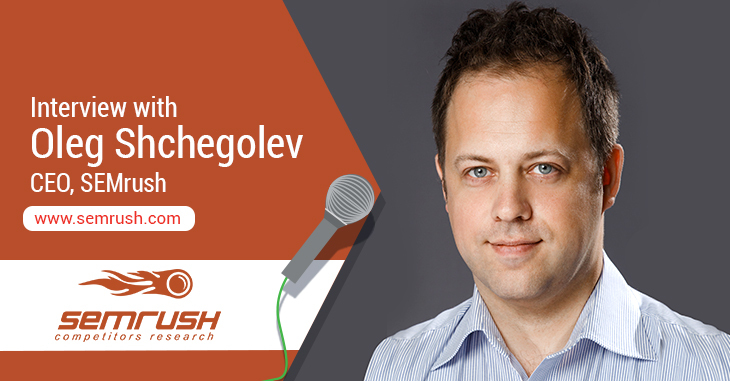 In our latest interview, I had the opportunity to speak with Oleg Shchegolev, the CEO of SEMrush. For any readers from the digital marketing world, SEMrush needs no introduction. It is one of the most popular competitor research tools available. SEMrush was founded in 2008, and over the past 9 years, the company has grown into a huge success with four offices from two different continents. I was very curious to learn about Oleg’s journey with SEMrush and his advice for marketers. A big thanks to Oleg for taking the time to answer my questions. TechWyse: What motivated you to work in the SEO/SEM industry after completing a degree in information security? When I was a third year student, my groupmate introduced me to the SEO industry. He showed me what search engines are and explained some basic SEO principles which were functioning back then. That’s how I started working in SEO. Search technologies were pretty simplistic then, but they were on the rise. In order to get to the top of search results pages, all you had to do in 2000 was to simply create some simpleweb pages with keywords arranged in the right way and also add the site to a search engine via a special form. At that time Altavista, Northern Light and Yahoo (which used Altavista’s search algorithm) were the most used search engines, while Google was only beginning to evolve. Dmitry, my childhood friend, whom I’ve known for over 30 years, joined me in 2001, and we started working in the SEO industry together. And by the way, Dmitry is a co-founder of SEMrush. Basically we just figured out what was interesting to us and what we were ready to work towards. If you are sure about your idea, there are no limits to creation. TechWyse: How did you get the idea for SEMrush and how did you start? Ten or fifteen years ago, Dmitry and I were doing SEO and just like all SEO specialists, we had to deal with search engine technologies evolving all the time. Around 2002, when SEO success depended most on web page semantics, we did large-scale experiments, trying to identify the content that would provide the best results. Between 2004 and 2006, domain and backlink parameters started to play a crucial role, and we released the SEOquake tool, which was one of the most popular free tools for SEO specialists at the time. In 2007, when we faced another round of quick developments in search engine technologies, we had to figure out what sites were getting quicker and better results. That’s how the early prototype of today’s SEMrush emerged. We thought to ourselves: Why not create a tool that will help us keep track of SEO trends and best practices? We were two IT geeks back then and we designed this tool for ourselves. I mean, we didn’t quite expect it would grow into an industry-leading SEM company with so many employees and several offices around the world. Our projections for the growth of the company were conservative, but we did think it might become a market product some day. TechWyse: SEMrush has many features and tools that help internet marketers. Can you tell us which tools are most widely used and popular? And we’d also love if you would share how your team develops and brainstorms ideas for the tool? Up until only two years ago, SEMrush was regarded as a keyword analysis/competitive intelligence tool. After rolling out 100 updates last year, we have become so much more than one SEO tool among many. SEMrush has turned into a single-solution software for marketing specialists and anyone who wants to start an internet business. We are now witnessing great potential in developing many product tools, as we have launched traffic analytics, we’ve enhanced Site Audit, and we are working on complementing mobile databases along with the mobile devices analysis and the new regional bases. Which of our products is the most popular one? They all are. It depends on the needs of users as well as on the availability of this or that database, and the tool’s market competitiveness. As for brainstorming, we’ve got a very flat organizational structure in our company that allows us to grant our employees as much freedom as they need to be creative because there’s no chance to be inventive under a yoke. We only hire people who are 100% excited about what they do and who are ready to embrace new approaches to their work. We have no KPIs or deadlines. Instead, we are boosting our efficacy by being transparent and mutually committed. That’s why we value 360-degree feedback when it comes to assessing our employees. What we are trying to do is to transform our employees into servant-leaders and into people who value teamwork above all. That’s our way of being competitive in the market. By giving freedom to people who are passionate about their jobs, we are ready to achieve great results. For instance, each product within our company is the responsibility of this or that team, which includes developers, IT specialists, marketing specialists and product owners. Such teams enjoy great freedom both from a technological and a functional point of view. Also, our flat structure attracts enthusiastic and creative people. We are doing our best to make our company as transparent as possible, so that every employee can easily get to know what’s going on within any team. And all that contributes to a great atmosphere for the emergence of new ideas and initiatives. TechWyse: Many internet marketers claim there is a big difference between estimate traffic and actual traffic. How do you answer this claim? I beg your pardon if my response seems a bit too sharp, but I’m not aware of any SEO experts who’ve complained about that. Those who fully realize the value and nature of our data and who know how to employ it are thrilled to have access to it. Right, they do notice that figures differ (and sometimes differ significantly for certain categories). But what matters is that when you analyze your competitors, absolute numbers are rarely important, while history and dynamics are essential. 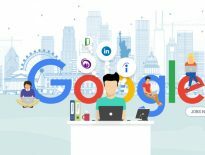 You need to take into consideration whether your traffic volume grows or drops within a certain region, which ads or landing pages have showed up and which have disappeared, whether your search results rankings are up or down, and what’s going on with your SERP features or with brand traffic, and so on. TechWyse: What are the marketing strategies you use to acquire leads for SEMrush? Which one works the best? We invest a lot in the education of our community. We host free webinars with top experts, organize weekly Twitter chats and also nurture our huge blog community by allowing and encouraging marketing experts to share their practical expertise exclusively on our SEMrush blog. Conversion funnels for various countries all prove that this free education plays a huge role in increasing the number of leads and SEMrush users. We also take advantage of agile marketing. Just like our product development department, our marketing department consists of a number of teams who are independent, self-organized and incredibly engaged in the working process. Such a structure allows these teams to experiment freely. Surely, all the experiments can be considered content marketing in one form or another but all these experiments are very different due to the nature of our working process. TechWyse: What techniques do you follow for promoting content on the SEMrush blog? What do you prefer: regular blogging or Brian Dean style power pages? Due to the organizational structure of SEMrush, my vision for our blog and the vision of the team responsible for this blog may differ considerably in many ways. I’ve got my own opinions, but I’m not sure I’m experienced in this matter, and I gladly rely on the team’s expertise. That’s why I would rather not disclose my vision in order not to deprive the team of their responsibility. 1. Content must be unique and can’t be published on any other sources. 2. We provide content that may come in handy for our users (how-to graphic guides with screenshots and step-by-step instructions). 3. We skip basic stuff known to everyone. There’s no point in sharing abstract speculations and obvious tips. People who read us are not novices to the SEO market, after all. 4. Research data must be timely and relevant, only credible sources should be used. 5. We try to stay fact-based rather than opinion-based. If we can’t back something up with facts, we don’t publish it. 6. Authors of articles should be well-informed about their subject. They’ve also got to be ready to engage in conversation in the comments section if needed. 7. We want our articles to be useful. Practical solutions are what we seek rather than biased editorial articles. 8. Our overall aim is to generate practical, useful content that might serve as a guide for our users, something they would follow and teach from. 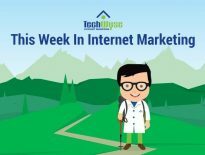 TechWyse: How much can SEMrush help a small business to achieve its online marketing goals? It all depends on the extent and approach of the company’s marketing efforts. If we are talking about a startup, it’s quite likely its website needs work, and that’s where Site Audit might come in handy. Once the site is in good shape, it will be useful to study competitors’ advertising campaigns and their organic keywords. Third, Keyword Magic Tool will help the company figure out users’ interests in a certain sphere. If it’s a middle-sized business, the issue of content should be addressed, and that’s where the SEO Content Template and SEO Ideas tools come into play. Bigger businesses will definitely benefit from backlink-oriented tools such as the Link building Tool and the Backlink Audit tool. And no matter how big or small your business is, Position Tracking will be useful at any stage. All these tools are available with the trial version of SEMrush. TechWyse: SEMrush was founded in 2008 and your experience in the industry extends beyond that. What skills have you seen become more valuable in the industry since you started? For us it’s not so much about some skills as we, instead, tend to focus on values within our company. There are more than 400 people in the SEMrush family, and each one of them has different knowledge and experience. I believe deeply that people gotta develop when working in the company. It goes without saying, we’ve got a lot of skilled and experienced specialists, but the thing is, they’ve all evolved together with SEMrush. As a CEO, I expect several key things from SEMrush employees: a willingness to experiment and try new things, the ability to give and receive high-quality feedback, a readiness for teamwork and for sharing the responsibility for results with your team, and also a readiness to dream. The latter is what guides businesses toward greater goals. During meet-ups with our teams I often ask them: “What do you guys dream of? What would you want to do in this quarter to be proud of your work?” This is what matters most to me. TechWyse: Can you share some tips on how to manage four offices in two different continents remotely? What tools do you use to help you effectively manage your workforce? We certainly do use certain tools to facilitate our working process, but what really helps us in managing the process is an agile framework. Corporate culture and the way processes of communication within our company are built are of primary importance for SEMrush. I am doing my best to make our work as transparent as possible for all people at our company. This is a well-managed and smooth process that never fails us. We go to a lot of trouble so that everyone would know what exactly is going on and when. We use Demo meetings and post-planning, we publish teams’ digests, and we also meet up for retro meetings dedicated to different offices’ campaigns — not to mention some small-scale internal meetings. It’s also very important for us to be results-oriented and make sure our efforts are co-directional. That’s why we use OKR framework to determine our company’s objectives and key results. Agile values and practices are what we are trying to follow here at SEMrush. TechWyse: Thanks for taking the time to answer my questions. One last one, are there any new features in your product roadmap you can share? It’s hard to say. Not because it’s a secret. The thing is, we’ve always got 10-15 new projects to work on, but we change their priority all the time. Just like everyone else, we first discuss some new ideas with our users and friends. We keep searching for developers, and a new project gets started when a newly assembled team decides to take it up. We believe that if teams pick a project on their own based on how much they like it, this project is likely to become a success. Hopefully very soon we’ll release some tools for those who work on a marketing strategy and create marketing content. Sorry, I can’t tell you any more than that. And by the way, we are trying to roll out beta versions to our beta testers as early as possible in order to release beta to all users later on. This allows us to receive feedback and fix large-scale bugs beforehand. SEMrush has been developing thanks to our thorough attention to feedback from our users, and we are really thankful for all of them. Thanks again Oleg for taking time to answer my questions. A question to our readers, what did you like the most about this interview? Please share your thoughts in the comments. Also, if you want to read even more industry interviews from TechWyse, please visit the TechWyse Interview Series. Oleg Boyko, Chairman of Finstar Financial Group, an international investor who has recently unveiled a $150 million Fintech investment plan, describes risk tolerance as an essential quality to achieve success. People or some media saying about him as oleg boyko fraud, oleg boyko mafia, oleg boyko criminal in russia is a billionaire.